Who: Couples, Families, Children & their Friends! 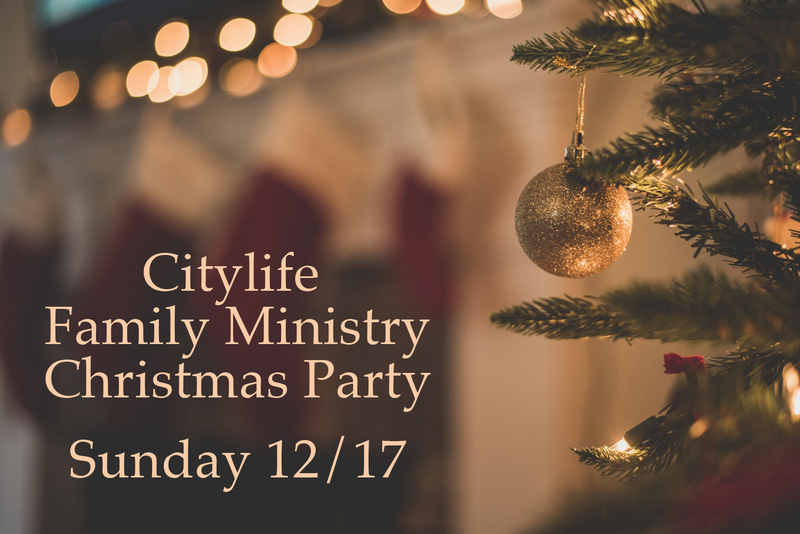 Why: To celebrate the joy and wonder of the Incarnation with a Citylife family feast! If you are able to join us at the party, the following short to-do list is for you! 2. Bring a Side Dish or Dessert. 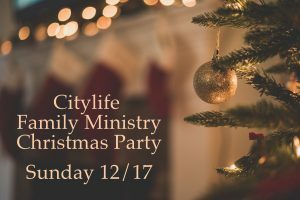 Citylife will provide the main dish for our meal, and the party-goers will contribute appetizers, sides, and desserts. If you plan to attend, please sign up here to bring a dish. 3. Gift Exchange for Kids. If you would like to participate in the optional gift exchange, please also indicate this in the linked signup sheet. Please spend no more than $10-$15 on the gift your child brings to the party. Your child must bring a gift in order to participate in the gift exchange. If you have any questions about the party, please email Isaac at this address or call him at 850-758-8579.